After experiencing several traumatic injuries and other health issues over the years, Ogle knows he is in good hands when he comes through the doors at LHS. 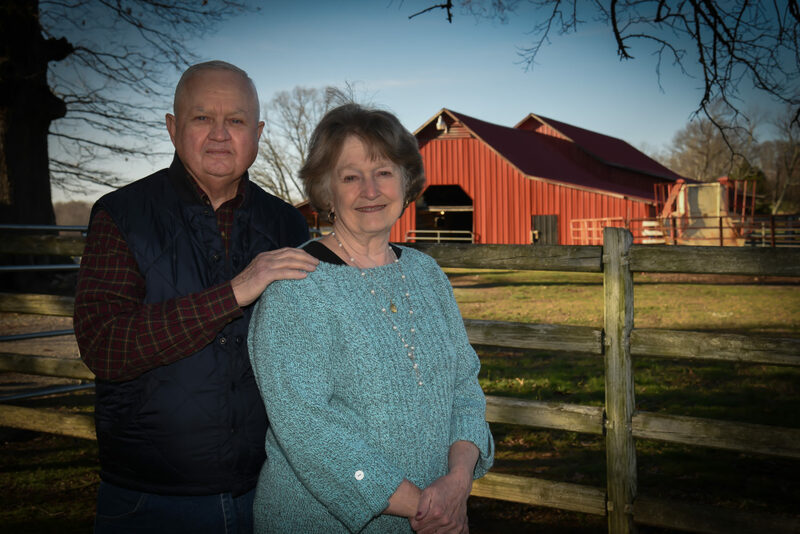 A county commissioner and board member of LHS, Ogle and his wife have lived on a farm in Lincoln County for more than 50 years. He farmed with his two younger brothers for 35 years until his retirement in 2001. The doctors and staff at LHS might as well be family to Ogle, who has spent days in the hospital on several occasions. First, in 1973, when the farmer was unloading corn from an elevator and caught his hand in the mechanism. He lost part of one finger and broke two others. But LHS staff fixed him right up, he remembers. For anyone, that would be enough experience at the hospital for a lifetime, but farming is a dangerous profession, and Ogle found himself back at LHS in 1998. His tractor ended up in a pond, he says, and he almost drowned. A bout of pneumonia, significant loss of blood and 10 days in the hospital later, Ogle had been properly restored to health. Just two years later, Ogle suffered another traumatic incident when a cotton packer compressed his body. Having damaged his hip badly, he was treated at LHS, but sent to Huntsville for 10 days. He spent two additional months recovering at LHS. Ogle has since been treated for a heart attack and undergone two knee replacement surgeries at LHS as well. Though he’s been treated elsewhere at times, his recovery therapy has always been done at Patrick Rehab and Wellness Center. “They know me by my last name,” he says with a laugh. If there’s anyone who knows the value of a caring hospital staff and compassionate care, it’s Ogle. To him, LHS is more than just a healthcare provider — it’s a critical part of the community. And that’s high praise coming from Ogle, who has spent his whole life in Lincoln County and loves it. Ogle was born at home on his father’s farm, but all of Ogle’s siblings were later born at LHS. He’s one of 11 children. Ogle says he remembers playing in a creek on the property with his siblings growing up — a special place he can still visit today. “In the summer time, if we weren’t working in the eld, we were in the creek,” he recalls. Three of Ogle’s children were born at LHS as well, and now that he’s a grandfather, he says the grandchildren love to come visit the farm and get a taste of life in Lincoln County, where his younger brothers now keep up the crops with their own sons. Through the years, LHS has been a constant in Ogle’s life, and he says the people who work there are gems in the community.